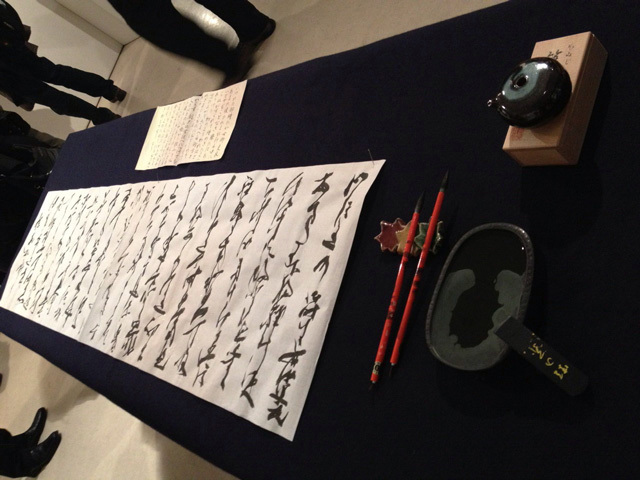 — Into Project: The history of Japanese calligraphy developed under the influence of Chinese calligraphy techniques. 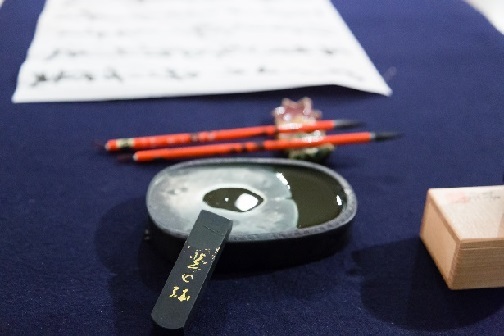 As Japanese culture and social systems evolved in the mid-Heian period (around the 10th century), the renowned calligraphers Ono no Tofu, Fujiwara no Sari, and Fujiwara no Kozei established the style of calligraphy named Wayou (Lit. Japanese-style). 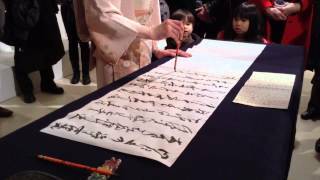 From then on, the tradition of Wayou became central to the history of calligraphy in Japan. 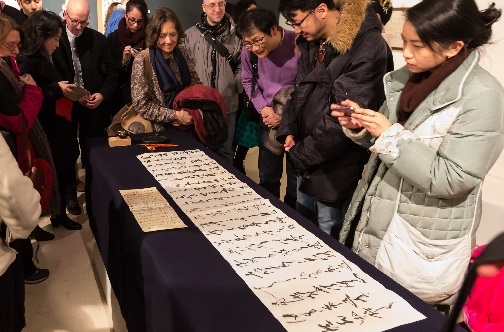 A prominent feature of Wayou is the ancient writing system named Manyogana, which employs Chinese characters to phonetically represent the Japanese language. 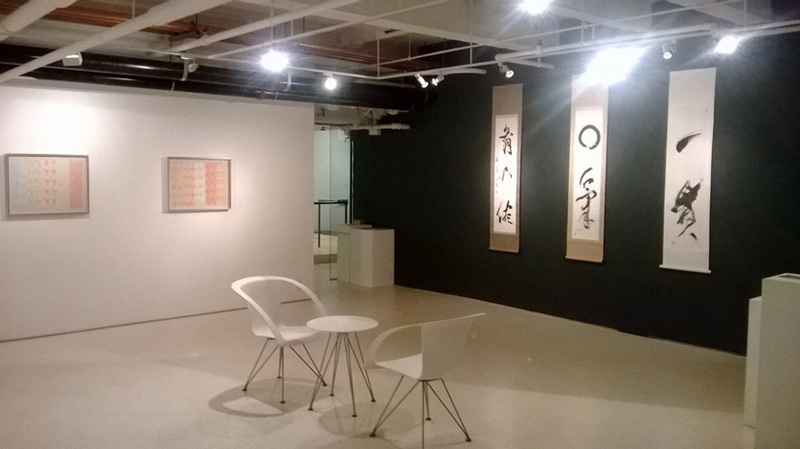 The characters used in Manyogana look exactly like their Chinese counterparts, but no longer carry their original meaning. Rather, they represent the sounds of the syllables used in the Japanese language, analogous to how Hiragana and Katakana are used today. 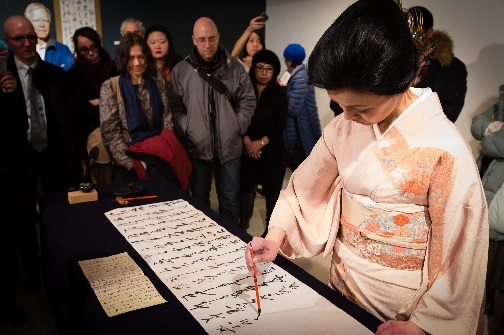 In this exhibition shodo artist Masako Inkyo will introduce the Manyogana writing system in the form of a classic work of Japanese literature named Genji Monogatari (The Tale of Genji). 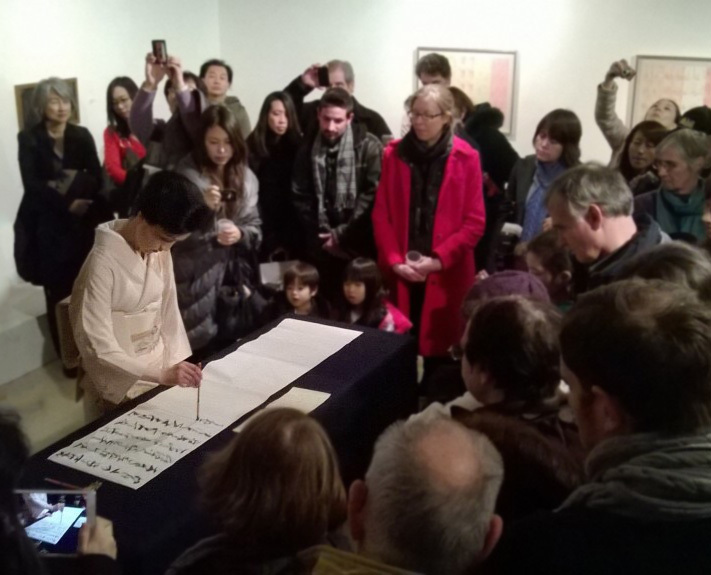 This work was written entirely in Manyogana by the Japanese noble woman and lady-in-making Murasaki Shikibu in the early years of the 11th century, around the peak of the Heian period. 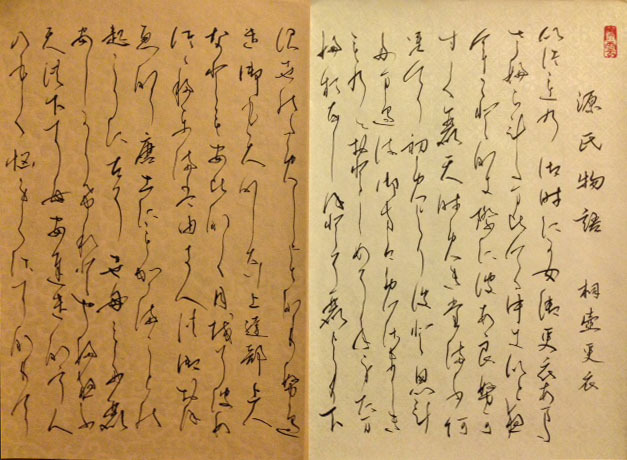 It is sometimes called the world’s first novel, the first modern novel and the first psychological novel and presents a unique depiction of the livelihoods of high courtiers during the Heian period.